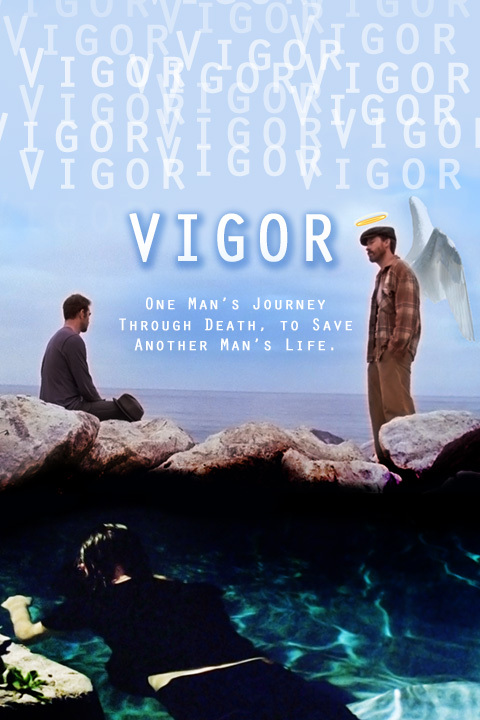 Vigor – Adler & Associates Entertainment, Inc.
A solitary man stands in a cemetery, brooding over a headstone. This is Oregon, and the grave he is standing over is his own. Shut out of Heaven because he has killed himself, an angel appears to give Oregon an assignment: save someone else from making the same tragic mistake. Given a new body and appearance, Oregon is sent back to Earth to rescue Bob, a drunken wreck of a man who is running out of both hope and chances. Oregon now has one last shot at redemption: he must help Bob win and keep the heart of the lovely Sarah, the woman who was Oregon’s sister.